Services are available in the entire greater San Francisco Bay area. 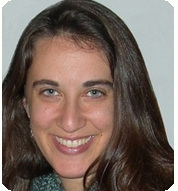 Michelle is the director of At Home Fertility. Since 2001, she has enjoyed working with expectant and new families and has helped hundreds of women and couples to conceive their babies peacefully at home. Michelle is deeply committed to providing woman- and family-centered options in healthcare. She is honored to be included in her clients' lives during the profound times of conception, pregnancy and birth. 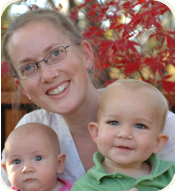 When she’s not helping families to conceive or catching babies in her practice, East Bay Homebirth Midwifery, Michelle loves to hike, garden, read and knit. She and her partner are the lucky parents of two fabulous children, both conceived at home by IUI. Rebecca is passionate about serving women throughout the life span, from well woman care to fertility support, to birth and beyond. Within her own midwifery practice, Hearthstone Midwifery, Rebecca offers support groups for solo and queer parents who are trying to conceive, as well as well woman care, lactation and perinatal consultation, birth supply rentals, placenta encapsulation, and classes in newborn care. She has been blessed to work with At Home Fertility since 2009, and is deeply touched by this work of supporting clients as they create their families on their own terms, in their own time, and in their own unique ways. "I highly recommend the work of At Home Fertility. Michelle is warm, supportive, and professional. She made me feel very comfortable and she honored my choices during a challenging conception process, whether I was taking fertility drugs or working with an acupuncturist, using a sperm bank or working with a known donor. It was a real gift to be able to conceive my baby in my own home." "The midwives were easy to work with and flexible in scheduling inseminations to suit our needs. Our experience felt just as personal and private as doing our own inseminations with our first child, but we got pregnant much faster this time!" "Your magic contributed to it working for me on the 3rd IUI cycle at the age of 42. I want to encourage those over 40 to follow their dreams!" "I'm now 36 weeks pregnant and forever grateful that you offer at-home IUI. I'm not sure what I would have done without you. Well, I do know - I would have been stuck in the trap of gonadatropin injections and progesterone supplementation and cold exam tables and repeated ultrasounds and office visits and a failing faith in my own body and…sigh. You not only respected me and my body, but you helped me hold on to that respect as well." "Michelle is tremendously intuitive; thoughtful, and warm. She made both me and my partner feel extremely comfortable and encouraged during our inseminations over the 7 month period of trying to conceive our son." "I felt so lucky to be able to have my IUIs done in the comfort and privacy of my own home. It was really nice not to have to worry about scheduling appointments during a typical work day/week, since you never know exactly when you're actually going to ovulate. Charting and fertility tracking can be stressful and we were thankful for our midwife who always seemed to ease the anxiety. I would absolutely recommend At Home Fertility."